Digitization of information is only transformational if the information is contextual, timely, and available to anyone who needs it. Industries have learned through, often painful, experience that technology investments can create constraints on future innovation. Proprietary systems and single-purpose devices have restricted operators’ ability to add to or replace embedded assets with best-in-class technology. Modern software architecture allows for the modularization of presentation layer (what people interaction with), physical layer (machine interaction with raw materials or manufactured goods), and the control layer (digitized activity between presentation and physical layers). Industries use a variety of terms and schemas to describe these layers, but the basic concepts are common. Established industrial technology vendors are structured on maintaining existing product line revenue streams, and generally offer only incremental value enhancement. Whereas, at the advent of a new product, technology may have necessitated that it be stand-alone, this isolation need not exist in perpetuity. Performance and process assumptions should be challenged as technological advancements are made. The path to automation need not be the “same task, faster with higher volume”. To the contrary, this incremental approach leads operators with complex environments to invest in bigger, better black boxes that don’t talk to each other and do nothing to support learning and inter-task innovation. Operators should seek technology partners with a shared-success philosophy who support open and common standards, are committed to compatibility, and will innovate with them. And software should not be an afterthought. So what are some steps that industrial operations companies can take to prepare for a digital future? In order to prepare for a digital future, industrial companies need to retrain their procurement habits to favor decoupling hardware and software purchases. In other words, hardware should be software agnostic and software should be hardware agnostic. The bar for user experience has been raised dramatically in recent years - primarily driven by wide adoption and investment in mobile consumer applications. In enterprise environments, leveraging many data sources into an intuitive and interactive visualization is dramatically shrinking the organizational learning curve. Why punish your workforce with having to learn antiquated interfaces for each new hardware element? Hardware vendors developing products that openly support integration with any software should be favored over vendors that force you to access their data only through outdated and locked-down bundled software. This open approach enables access to the exponential benefit curve of advancing technologies, because not being locked into a specific vendor’s ecosystem opens operators up to being able to take advantage of the latest breakthroughs without jeopardizing their production systems. It also means that procurement organizations need the flexibility to evaluate purely software or hardware purchases. Furthermore, procurement product categories should be flexible based on what is now available - start with user requirements not vendor-defined product descriptions. This approach also benefits total cost of technology ownership equation. Training costs are reduced when upgrading technologies, because the software interface can stay the same while hardware changes and vice versa. Integration costs come down because when both software and hardware are designed to be integrated with other products, system integration takes days instead of months. During our years of experience piloting wearable technology in industrial operations, we quickly realized the intense need to be hardware agnostic. New wearable devices are released every day, and without knowing which devices will provide benefits and which will not, it is essential that any new device can be plugged into the system quickly and cost effectively. While this may seem novel and only relevant to wearables, advancements in other hardware technologies from sensors to automated vehicles present similar challenges. Traditionally, software applications have been built as monolithic programs designed to carry out specific tasks. These applications contain all their code in one place. When considered within the context of larger multi-system solutions, monolithic applications present numerous challenges. Adding new features is costly, as existing code must be altered; this easily results in regression issues where existing features break. Integrations are restricted or complex and when multiple applications are involved can require expensive custom code changes. As these applications grow, their complexity and maintainability is multiplied, and a single bug can bring down the entire system. Scaling these applications requires duplicating the entire code base and often requires more hardware resources than is actually necessary. If your existing applications do not have the right architecture, then you need to build on a different foundation. Modern software has come a long way in the last few years utilizing modular designs often referred to as microservice architectures. You can think of these as many small applications working together. Adding new features and enhancements is efficient and often alters very little existing code. In addition, these systems can even be extended with new micro-applications to fill in functional gaps in digital ecosystem. Integrations are simplified, as the application is already built from many integrated micro-applications. As these applications grow, their complexity is distributed amongst many small applications. Individual micro-applications can each be scaled as required, making the best use of hardware resources. Don’t throw away traditional software and legacy systems; just don’t plan on using them as the foundation for your future digital ecosystem. While researching how the mining industry is adopting automation we spoke to Joe Cronin, PhD Robotics & Experienced Mining Automation Integrator. He shared with us his view that transitioning to automation in mining requires several steps that come with significant interim benefits. Communication - Set up your communication infrastructure and begin to do basic monitoring. Communicate with vehicle operators and sensors, issue individual tasks and monitor tasks remotely. Tracking - More sensors and better software provide better visualization of your operations, situational awareness, and allows for a much more strategic approach to planning. Process Control - Real-time scheduling, manipulating the schedules in finer detail to maximize production volume or quality. Remove People - Transition human operators offsite and out of harm's way, and issue commands directly to the machines. 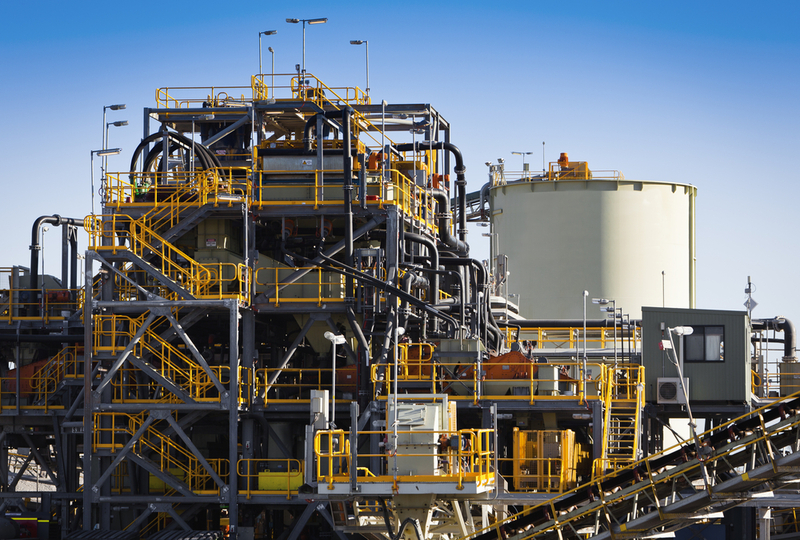 We think this holds for other industrial operations beyond mining. An important takeaway here is that these incremental investments towards automation come with compounding benefits. These benefits can also have huge ROI impacts on development projects. However managers tend to assume automation is just a straight-leap to driverless vehicles, thus too chaotic for development projects. However, by building this investment strategy right into your operation’s development plans, by the time your development is complete your operation could be ready for full automation. Web-grown technologies have already addressed many of the challenges operators currently face with system integration. There are widely accepted methods of integrating software that already exist and are secure, scalable and reliable. There is no reason that the protocols used by your online banking can’t be utilized by your industrial operations management dashboard. Open standards such as RESTful, MQTT and Websockets can provide bridges between most applications in the ISA 95 stack Level 2 and above. There is nothing special about mining or other industrial operations that makes these standards less applicable, other than vendors who build products that don’t support them. Vendors who advertise products with proprietary protocols should be met with skepticism rather than inherent trust due to longevity and familiarity. When it comes to system integration, “proprietary” should be considered a naughty word. While vendors would benefit from building more open products, industrial companies need to hold vendors accountable and write open-integration requirements into their RFPs. System integration shouldn’t be so difficult and costly. The more you invest into legacy siloed applications the further behind you will fall and the more expensive it will be to catch up. The future of industry will be digital, and it will require all of your technology purchases to be integrated into applications designed to get the right information to people who need it to make better decisions. Why not take the first step towards a low friction digitization roadmap this quarter? Instead of buying another point solution for the common challenge of people, vehicle tracking or asset tracking, spend the same amount of money and choose a vendor with the long term holistic vision to bring you huge returns in the future. Because the future is open, digital and exciting.